The Moscow Carnegie Center organized a seminar "Eurasian Economic Community: Prospects of Development" on January 27. Organization Secretary General Tair Mansurov started it off with a brief (not more than 30 minutes) report on what the Eurasian Economic Community was about. The audience understood from the report that establishment of the Customs Union (Russia, Belarus, and Kazakhstan) and work on common customs tariffs were all the Organization cared about nowadays. Mansurov gave chapter and verse on difficulties of working out common customs tariffs for states with economies at different levels of development, particularly when the tariffs in question were needed for 12,000 names of goods. A single example: Belarus and Kazakhstan wanted the auto import duty kept at the minimum because they lacked auto industries of their own. Russia, however, had a domestic auto industry and therefore insisted on hiking the import duty to support it. Speaking of accomplishments, Mansurov mentioned establishment of the Customs Union Commission. Member states had objected to supranational bodies at first and insisted on coordinating structures only. They were eventually reasoned with and the Commission was established so that its decisions would be mandatory for Customs Union members. "The three member states will remove customs from their borders with one another when the common customs enforcement area is established on January 1, 2010," Mansurov said. Speaking of the trade turnover within the EurasEC, Mansurov estimated it at $29 billion in 2001, $104 billion in 2007, and $135 billion in 2008. The official said it was a sure indication of advancement of economic interaction within the Organization. 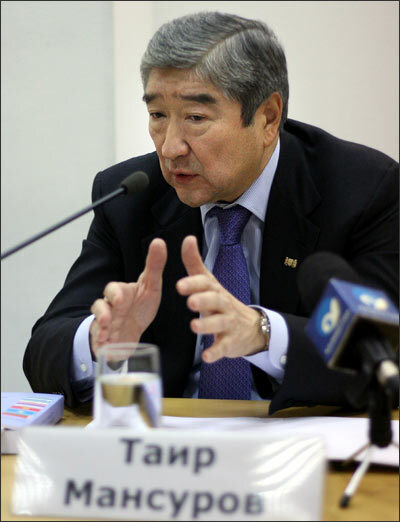 Expert Ajdar Kurtov pointed out that trade within the Eurasian Economic Community was mostly restricted to hydrocarbons. "It follows that the Organization really owes this impressive growth to the increasing oil and gas prices," Kurtov said. He added as well that it was trade between Organization members and distant foreign countries that showed the tendency to increase. Kurtov mentioned Kazakhstan's forthcoming membership in the World Trade Organization which he said would impose certain restrictions on this country. It is clear that WTO membership will inevitably have an effect on Kazakhstan's membership in the Customs Union. "Is it possible therefore that this country will find it necessary to choose and decide membership in what structure is more rewarding?" the expert asked. 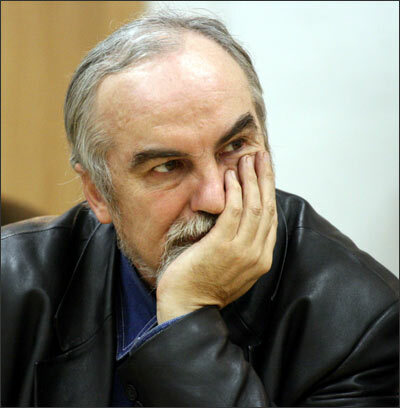 Mansurov gave the audience a knowing smile. "Here, I'll let you in on a secret," he said. "It was decided that we all would join the WTO after establishment of the Customs Union of Russia, Belarus, and Kazakhstan." The audience loved it and immediately wanted to know if it could be regarded as an official statement. "Getting into the WTO is not that easy," Mansurov replied. He was clearly peeved. "Documents are drawn and signed with every state individually. Talks with Russia for example have been under way for over eight years... No, no documents were drawn concerning membership of the three countries in the WTO. Still, I presume you all are old hands here. I dare say that's how it will be." Those present chose not to pursue the subject of hypothetical Belarussian membership in the WTO. Considering Minsk's problems with Europe, it was probably wise. The EurasEC set up a special commission to handle water supply problems of the Central Asian region. Clearly unwilling to get into particulars, Mansurov gave a sketchy account of the problem. As it turned out, 50% of the Uzbek population were farmers who needed water. Tajikistan and Kazakhstan in their turn needed electric power ("There is nothing so cheap as energy of falling water," was how Mansurov put it) and therefore wanted to build hydroelectric power plants on their territories. "We are dealing with these problems," Mansurov said and proceeded to elaborate on food security, a problem neglected over the last five years. The audience, however, would not be sidetracked so easily. For starters, someone asked Mansurov if the Organization had ever discussed the idea of turning some Siberian rivers to Central Asia (Mayor of Moscow Yuri Luzhkov's pet project). "No," Mansurov said with another smile. "And how does the Community plan to address water supply problems with Uzbekistan out? How can these problems be solved without Uzbekistan?" Ferghana.Ru asked. "Uzbekistan is not out," Mansurov was vexed. "It suspended membership in the Organization even though the Charter does not allow for anything like that. A member may quit the Organization or it may be suspended whenever this member has skipped its duties or failed to provide membership fee for over a year. Still, Uzbekistan suspended its own membership and we had to accept it. Suspension is really a prerogative of every member state. We do not condemn or criticize Uzbekistan. We just wish it did not do it. Anyway, when the commission for water supply problems meets at the ministerial level, I'm sure that Uzbekistan will be present there too because that's a matter of importance for them." This phrase "Uzbekistan will be present" stymied even the anchorman. "So, has Uzbekistan withdrawn or has it not?" Aleksei Malashenko of the Moscow Carnegie Center asked. "Does the Organization stand for it: whoever wants to withdraw does so on a whim and comes back whenever it suits him? Is that some sort of game?" "No comment," Mansurov was cornered and knew it. "I can only repeat that I wish Uzbekistan did not suspend its membership." But those present wouldn't get Mansurov off the hook even then. "How valuable was Uzbekistan's membership in the first place?" Ferghana.Ru asked. "How many documents did it sign?" "A state aspiring to membership in the Organization has to sign 65 documents. Uzbekistan signed 58. And yet, how can value of this or that country's membership be gauged?" Mansurov counterattacked. "When they were forming the European Union, some countries similarly wanted to know what they needed Greece and Portugal for. They said the European Union would have to pour colossal investments there... So what? It counts. Every country counts." Greece and Portugal were recalled once again at the expert discourse Mansurov was absent from. Everyone agreed that Kyrgyzstan and Tajikistan were not Greece and Portugal. Russia's status of the donor within the Organization nobody was questioning once again fomented doubts in the necessity of the structure as such. As a matter of fact, the seminar was not about the necessity of the Eurasian Economic Community or lack thereof. Some bureaucratic structures regulating processes of integration are probably a must in any event. Experts and journalists were trying to decide what could and what couldn't be expected from the Organization i.e. the scope of its adequacy. Very many seemed to think that there was no point expecting advancement of integration from the structure, because integration in the post-Soviet zone is first and foremost a political matter. Unwilling and actually unable to proceed beyond economic contacts between the states with economies at different levels of developments, the Eurasian Economic Community is absolutely content with working on the common customs tariff.